Do Home Bed Bug Remedies Work? Solving problems on your own can be rewarding but when it comes to bed bugs, professional help is the way to go! If you're looking for something natural that will fix your chapped lips, dandruff problem, or sunburn, then, there are hundreds of websites that will give you some helpful options. But, when it comes to bed bugs, it is never a good idea to use a home remedy. Here are just a few examples of failed bed bug treatments that should put things into perspective. Often, when bed bugs are found, the first thing that happens is the infested items gets thrown out; items like mattresses and furniture. While this may seem like a remedy for the problem, it actually isn't. Bed bugs can live in multiple places in your home, including your walls. If you discover bed bugs in a mattress, chair, couch, or some other piece of furniture, not only will it hardly ever fix the problem to throw those items out, it is actually possible to save them. Bed bug treatments kill bugs even when they are deep inside mattresses and furniture. If you do any research on eradicating bed bugs, you're sure to find out that these bugs can be killed with heat. But many homeowners and apartment residents all across the country have found out that attempting a heat treatment can have dire consequences. It takes a consistent temperature of around 120°F to kill bed bugs, and it must be done in a controlled manner. Professionals use self-regulating industrial heaters, heat sensors, and fans to bring an entire home up to the temperature needed, and a focused use of steam and chemicals are sometimes needed to make sure the bugs don't escape into the walls. If done improperly, a heat treatment is not only ineffective, it can cause a fire. This has, on many occasions, led to damaged property, and even loss of life. Some sources say that bed bugs are attracted to CO2 and that you can lure them in and kill them with bed bug traps. While this is true, traps are far from effective at eradicating a bed bug infestation. Why? Because all it takes is a single female or an unattended batch of eggs to start another infestation. That means even if you are fortunate enough to kill all of the bed bugs currently feeding on you and your family, they can still be in your walls preparing for another wave. There are a lot of products that can kill bed bugs, both natural and chemical. But, like traps, they are not effective at fixing the problem. 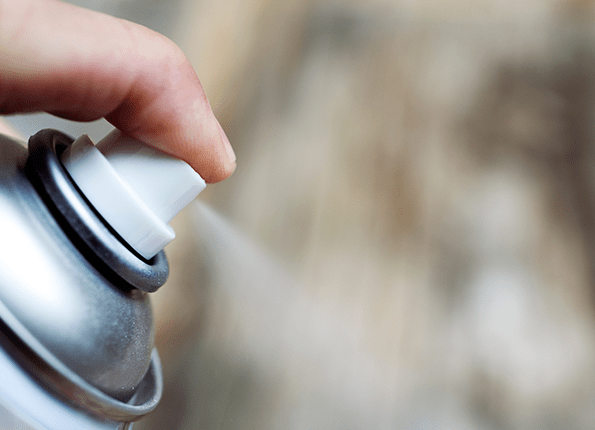 Bed bugs can hide from or go around these products. Even if you are successful at killing all bed bugs that are sprayed, a batch of eggs or a single female can lead to a new infestation down the road. Worse still, some homeowners and apartment owners have poisoned themselves attempting to get rid of bed bugs with sprays, powders, and liquids. There are even cases of spray treatments, like alcohol, being set fire by an improper heat treatment. Home remedies for bed bugs are not only ineffective, they can be dangerous. Fully eradicating bed bugs requires specialized knowledge, industrial-level equipment, and experience. Here at Action Pest Control, we use industry-leading technologies to destroy bed bugs in all stages of development. No bugs escape into the walls. No bugs remain in mattresses and furniture. And no bugs are left to grow into a new infestation. We utilize bed bug sniffing dogs to target infested areas and a wide range of advanced pest control options to destroy these bugs. Control options may be fast, simple and discreet or they may require a large scale heat treatment or fumigation. Your certified pest technician will advise you on the level of infestation and the effective options available. Don't trust the eradication of these bugs to home remedies. Get fast and hassle free K-9 bed bug inspections, and effective and thorough extermination of bed bugs, with professional pest control from our expert team here at Action Pest Control. When bed bugs bite, Take Action & Get Action.